Ohio Players Smokey Robinson Zapp! The real ol' skool party, Chicago style. A stepper's delight, filled with skate jams too! 7. She's Just . . .
Just an, off the wall, Ol' skool party cd. Chazz Dixon and producer "J" got tired of people sampling old tracks in an attempt to get that Ol' skool sound. Solution! "Let's do it like we did it all those years ago". So they went into the studio and recorded this cd as if yesterday was today (in full effect). This cd was produced for "the mature groover's" who remember and still wanna feel. 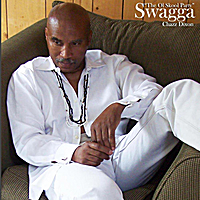 So if you like feeling good, if you like making noise or just wanna remember afros, hot pants and red light nights, swagga into the ol' skool party with Chazz Dixon.